Camellia Women’s Health is a unique group of Obstetrician/Gynecologists (OB/GYNs) and Nurse Practitioners providing exceptional, comprehensive care for women of all ages. We respectfully treat women of all ages, races, ethnicities, religions, and socioeconomic backgrounds, including those of the LGBTQ community. We proudly deliver high and low risk pregnancies at Mercy San Juan Hospital with one of the lowest cesarean section rates in our region. The OB/GYNs and nurse practitioners at Camellia Women’s Health are board certified by the American Board of Obstetrics and Gynecology and the American Academy of Nurse Practitioners, respectively. 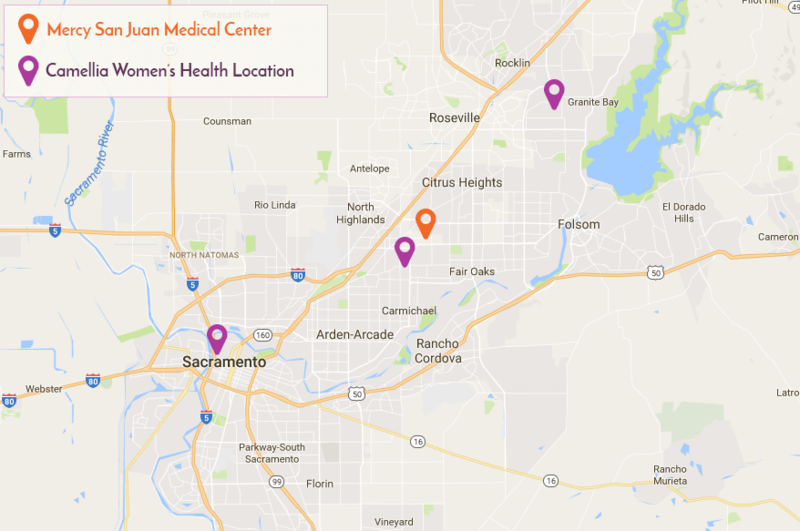 Our physicians maintain memberships and continuing education with professional organizations including the American College of Obstetricians and Gynecologists, American College of Surgeons, California Medical Association, Sacramento-El Dorado Medical Society, and Northern California Obstetrical and Gynecological Society.